Hey y’all! I skipped it last year, but this year I’m planning to do my 50 Days to Dragon*Con countdown! Aren’t you excited? I wanted to give y’all the opportunity to have a voice in this. What would you like me to write about? The last go-around, in 2010, focused primarily on fun, nerdy things that I enjoyed. Nowadays, however, I consider myself pretty informed about Dragon*Con, so I’d happily expand my postings to my tips on how to survive and enjoy the convention. Do you have nerdy topics about which you’d like me to write? I can do that! I plan on revisiting some anticipatory posts I wrote in 2010, to walk about how the reality was (ie: Game of Thrones, etc.) But mostly I’ll be winging it–although hopefully, with your help, I won’t be totally winging it. Anyways, chime in and let me know what you want to know! I’m here to countdown with y’all, because I can Dragon*Con and so can you! I’ll be starting this journey on July 11th, so let me know before then! I like to read about people’s experiences at Dragon*Con, sometimes it doesn’t even seem like we were even at the same event. Writing about the different bands and musical acts could be helpful. Last year I tried researching all of them in the last two weeks and by the time I got down there I kept mixing them up. That’s a great idea!!! The music is a very minor part of my Con experience (I usually stumble into the Cruxshadows concert at the end of the con but I don’t actively seek out any concerts unless I am looking for a place to sit for a bit late at night–I’ve caught some great stuff that way). I’ll do a series on each of the bands as they’re listed, maybe post some Youtube videos and basic factoids, etc. Thanks so much! I posted about my 2011 experience last September–very detailed!–so check it out if you’d like. You’re welcome, I’m glad you like the idea. Thanks, I’ll look for those. Last year was my first D*C. I LOVED IT! 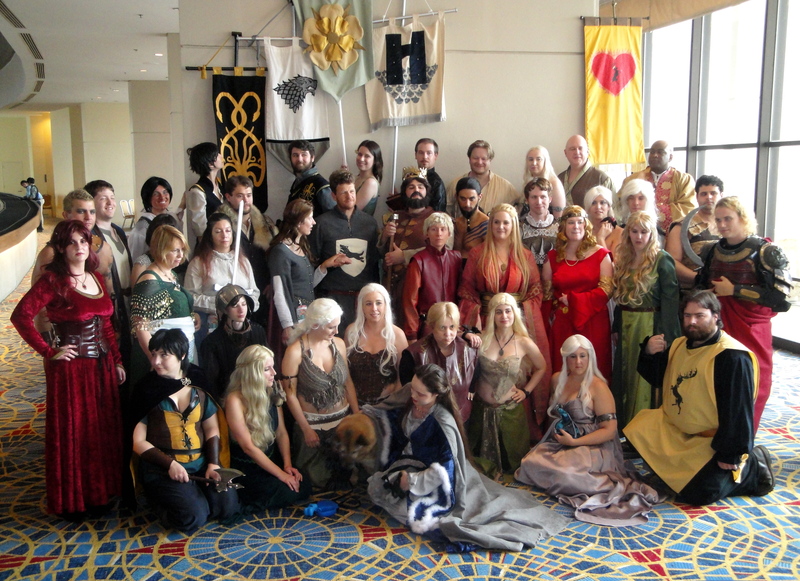 ps I am the last Daenerys on the right, on the floor.